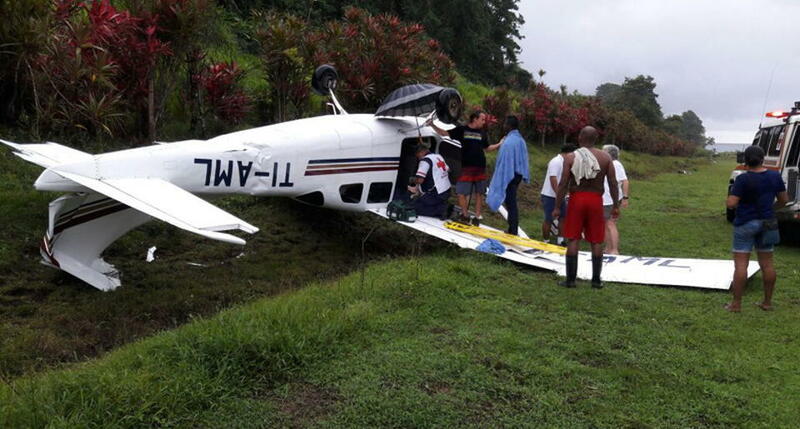 A small plane left the runway and crashed on Wednesday morning at Punta Banco beach, in Pavón de Golfito, Puntarenas, in the southern zone. The crash occurred at 10:24 am. The four passengers and pilot of the small plane were shaken up, but are in stable condition, authorities reported. According to the report of the Ministerio de Seguridad Pública (MSP) – Ministry of Public Security, apparently the plane took off, but due to the bad weather it tried to return and land; However, when it touched the ground it left the landing strip and flipped over due to the strong wind and humidity on the runway. 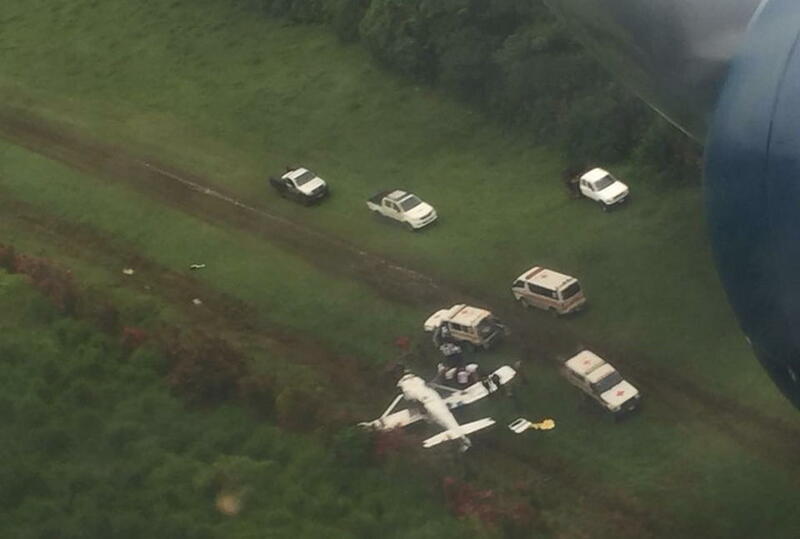 The aircraft, A Cessna 206, with the tail letters TI-AML, ended up upside down on the side of the runway. “They were bruised and are scared,” said a spokesman of the Cuerpo de Bomberos (Fire Department) of the four passengers and pilot. Two of the passengers most affected were seniors. The Cruz Roja (Red Cross) provided medical attention. Aviacion Civil (Civil Aviation) confirmed that passengers and pilot are in good condition, only with a few bruises and that weather conditions was the cause of the crash. 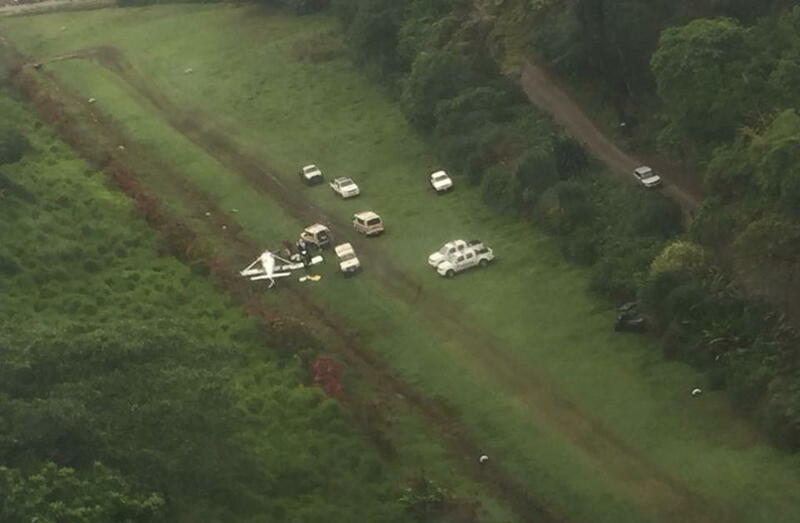 This is the second crash of a small plane in the last 10 days, the second occurring on December 31, in Guanacaste, that claimed the lives of 12, ten American tourists and the two Costa Rican pilots.